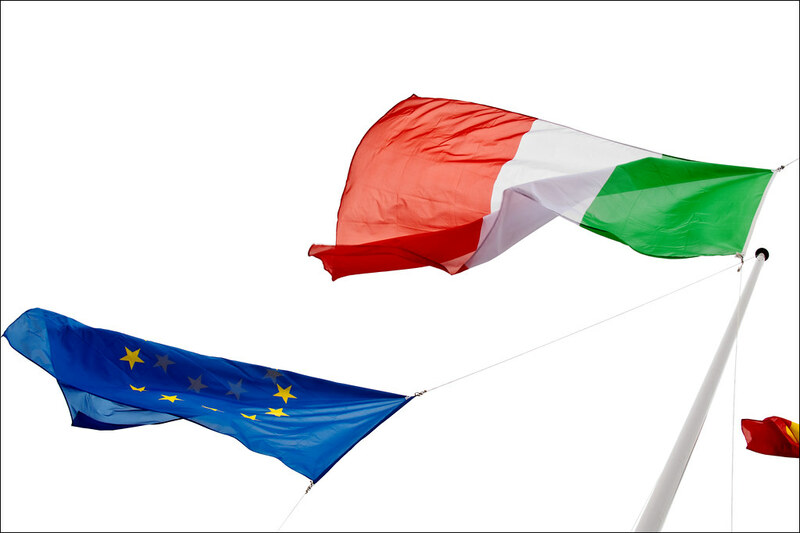 Following the submission of Italy’s draft budgetary plan for next year, European Commission President Jean-Claude Juncker insisted that Italy should respect its commitments to reduce its massive public debt of 132% of GDP. Italy should have included a structural adjustment of 0.6% of its GDP in next year’s budget. Instead, it submitted an expansionary plan that would increase its budget deficit to 2.4% of its GDP compared with the 0.8% target set by the previous government. “If we accepted the (deficit) overshoot … some countries would cover us with insults and abuse, accusing us of being too flexible with Italy,” Juncker added. European Commission vice-president for the euro, Valdis Dombrovskis, explained that the Commission would request additional information within a week. If Rome continues to exclude any adjustment, the Commission would issue a negative opinion in two weeks. Rome would have three weeks from that moment to rewrite its budget. Spanish infrastructure groups have become a dominant force in large-scale global construction projects, with a size and power second only to China. Overall, the international annual turnover of the top 11 Spanish construction groups last year was nearly €60bn, 50 per cent more than the US or French companies and nearly double those of Italy and South Korea. Domestically, the construction sector in Spain was turned on its head in 2007. For those that survived, this ultimately made them stronger. Some companies, particularly the purely national ones, went bankrupt, but the ones that kept going came out the other side less leveraged, leaner, and more international. Regardless of fierce competition, the Spanish groups are in a market that is both vast and growing. A report last year form the G20-backed Global Infrastructure Hub said that $94,000bn worth of global infrastructure investment is needed by 2040, a growth of 3.5 per cent a year, to meet demand. For the first time since the 2008 financial crisis, the US leads the annual World Economic Forum’s study of global rankings. The US achieved the closest to the “competitiveness frontier,” or “ideal state,” with a score of 85.6. Singapore (83.5), Germany (82.8), Switzerland (82.6) and Japan (82.5) rounded out the top five in the rankings. The report uses new methodology to capture the dynamics of the global economy in the Fourth Industrial Revolution. The new tools map the competitiveness landscape through 98 indicators, using a scale from 0 to 100, which are organized into 12 pillars: infrastructure, institutions, the adoption of information and communications technology, macroeconomic stability, health, skills, product market, labor market, financial system, market size, business dynamism and innovation capability. The report revealed a sobering conclusion: most economies are far from the competitiveness “frontier.” The median score of the 140 countries assessed is 60, with Chad registering at 35.5. A 15-man hit team composed of members of the Saudi Royal Guard and other security services reportedly flew into Istanbul the morning of October 2 to kill journalist Jamal Khashoggi. The Royal Guard Regiment is under the direct personal command of Crown Prince Mohammed bin Salman (MBS), putting his fingerprints all over the crime. At home, Saudi media blame the affair on Qatar. Instead of making Saudi Arabia more stable, the impulsive and poor decisions of MBS are making the nation more fragile. The kingdom is less stable today than at any time during the last half century. Iran is a winner from the crime in Istanbul despite its own awful record of abusing journalists and sponsoring terrorism. And the longer MBS pursues his campaign in Yemen, the more Iran will encourage the Houthis to bleed the kingdom. Saudi Arabia is America’s oldest ally in the Middle East. But no US president has courted the kingdom as avidly and crudely as Trump. The president’s adviser and son-in-law, Jared Kushner, has built his entire plan for Middle East peace with help of Israelis and Saudi Arabia. Having bet his Middle East policy on MBS, Trump is now accountable for his protégé’s record. The US and the United Kingdom have enormous leverage with Saudi Arabia due to the arms relationship. The Istanbul incident is an opportunity to press King Salman to unilaterally cease fire in Yemen. Foreign Affairs / Has the transatlantic alliance been irreparably damaged?